Which to buy: ‘Guitar Hero' or 'Rock Band 2’? Which is better, "Guitar Hero World Tour" or "Rock Band 2?" 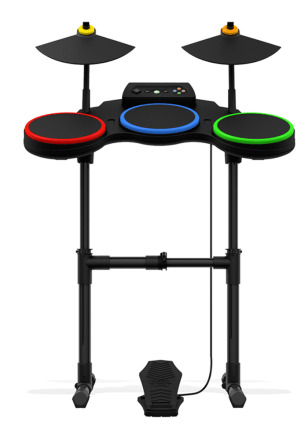 The former sports a better drum set (pictured) and roll-your-own music creation tools. But if you're a casual user, "Rock Band 2" might be a better fit.